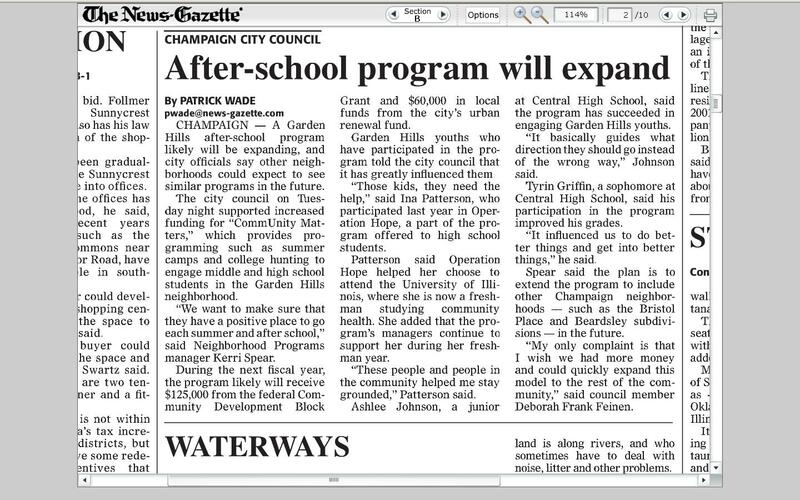 This talks about how they are trying to expand the after school program at Garden Hills Elementary in Champaign. It gives you all the good possible outcomes of expanding and whio they can help in different communities. 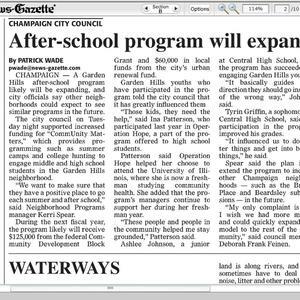 Patrick Wade, “Garden Hills After School program expands,” eBlack Champaign-Urbana, accessed April 18, 2019, http://eblackcu.net/portal/items/show/271.